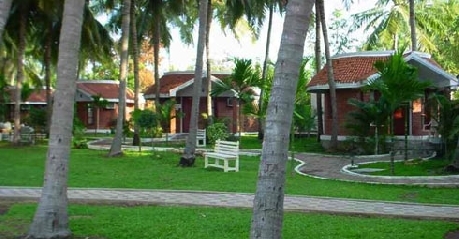 The Green Coconut Resort is located 35 km to the south of Chennai and comes under the Kanchipuram district. 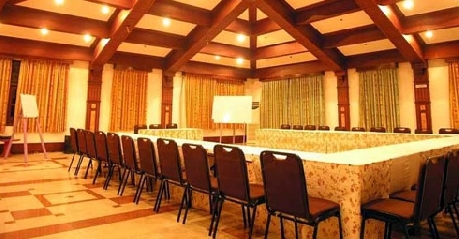 Peacefully situated under the canopy of coconut trees the resort harbours all the amenities needed for a perfect holiday, conference hall is also available on rent for brainstorming sessions for corporate companies. Tourist spots that are within 30 min drive are MGM Dizzee world and VGP Universal Kingdom. The shore Temple listed under the world heritage centre is a must see spot for it exhibits the art and architecture of the region. 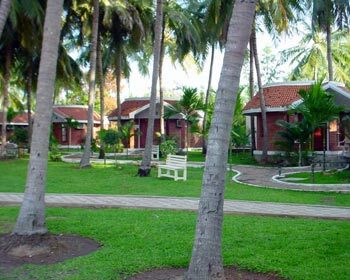 The eco-friendly Green Coconut Resort has everything designed close to nature . 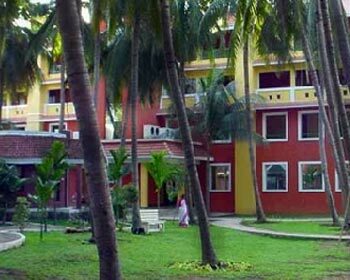 The suites are comfortable for a family and cater to all the basic needs of the guests. 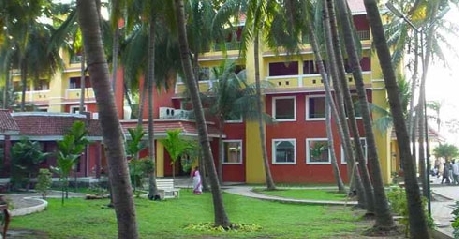 The dolphin swimming pools is clean and cool under the shade of coconut trees. Colour televisions with cable/ satellite connection, outdoor sports activity items like shuttle, Frisbee etc are provided. The super deluxe rooms were designed with a couple in mind so they are perfect for a pair. 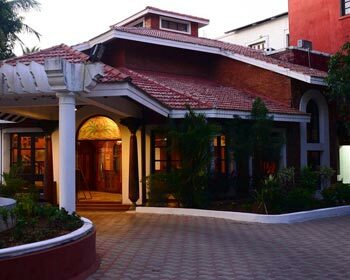 Amenities like free English news paper,colour television sets, room service on daily basis, internet access on request(chargeable), indoor and outdoor games are sure to make the stay exciting and memorable. 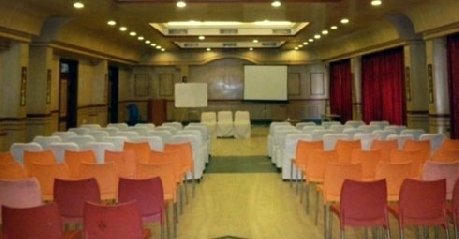 These air conditioned rooms are available in twin/king size beds, can be chosen as per requirement. 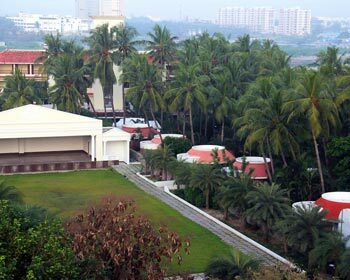 When visiting Chennai during hot seasons it is advisable to opt for these rooms are the climate is really hot during the summer season. Phone services are available for national and international dialling. A stay wrapped in the arms of nature is sure to leave a lasting impression in the heart of all the visitors. 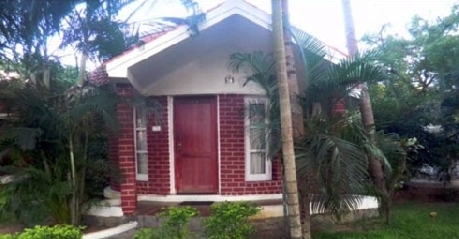 As the name itself suggests, these cottages are designed to give a comfortable and protected feeling. The snow white bed sheets and spick and span floors are very inviting and make one feel as in heaven. The pleasing personality of the servicing staff who always has a smile on their face is very welcoming and gives a feeling of being at home. The Palmyra restaurant serves continental, Chinese and Indian food to satisfy the craving taste buds of its guests. Many vegetarian and non vegetarian dishes can be tried out from different cuisine. Sea foods are delicacies of the coastal region. If you are visiting Chennai for the first time don’t miss to treat yourself with idli sambar ,dosa and vada you are sure to treasure the taste. The garden restaurant is a peaceful place for you to sink into the sounds of nature. Almost similar food styles to Palmyra are adopted here. Room service is also available to add to your laziness for the motto is to pamper you with whatever is requested. Good supply of local food is available till late night hours. How would a holiday trip be enjoyable without liquor? The crystal bar is well stocked with liquor of national and international brands to satisfy the requirement of all its guests. Cool drinks and bottled mineral water is also available at any part of the day. Relishing a can of chilled beer with family and friends in a gala get together is out of the world enjoyment.